HAVE YOU HEARD OF PRIVATE MARKET FLOOD? Why more people who live on the coast choose us. 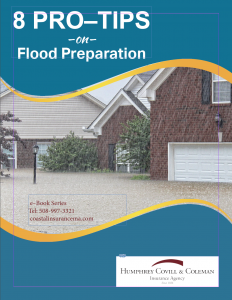 We Specialize in Flood Insurance. We represent over a DOZEN carriers that write flood insurance outside of the federally backed NFIP program for a fraction of the cost. We have seen tremendous savings of 25-50% or more. It is the same coverage, same policy, same underwriting – just a whole lot less. And yes… most banks accept Private Market Flood. Living on the coast, close to the ocean presents its own set of problems when a coastal storm arrives that may cause your property to flood. However, you shouldn’t feel too complacent flooding can occur just about anywhere when heavy rain is forecasted. Basements are very susceptible to flooding. Some causes of basement flooding are. There is an alternative – Private Market Flood! We have a client whose flood insurance premium went up respectively since 2015: $4,003; $5,477; $7462 and to $10,258 this year! We wrote him a Private Market Flood Insurance policy for $3,102! THESE ARE LIFE-CHANGING SAVINGS! If you are in flood zone VE, (right on the beach) we can usually save you up to 25%. If you are in a flood zone “AE”, we can save you up to 50% or MORE! We don’t even require that you have an Elevation Certificate. Although if your home is elevated, an elevation certificate can help. You do NOT have to wait for your policy to renew. You can switch mid-term!